The Watershed Company provided environmental services to the Bellevue School District as part of the demolition and expansion of Odle Middle School. The new two-story, 140,000 square feet school accommodates higher student capacity and includes a new entrance, parking areas, and athletic field layouts. Our project ecologists and landscape designers collaborated to create a buffer restoration plan that not only enhanced the existing buffers’ function, but reestablished natural vegetation, diversity, and habitat function to the newly added buffer areas and created pedestrian areas to minimize intrusions into the protected wetlands. In addition to these efforts, Watershed designers created a suite of interpretive signs and native plant identification tags to serve the school’s science program. 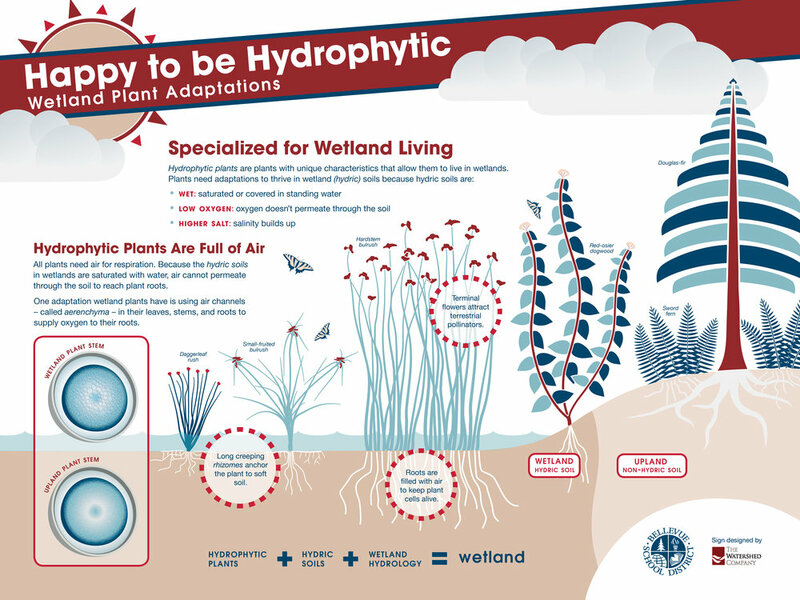 The interpretive signs teach the students about how forests help with stormwater runoff, wetland plants, the importance of wetland buffers, and how wetlands keep watersheds healthy.